At Sunshine we love each season for what it brings to our lives, a change in climate, food and fashion. Autumn usually means we can pack away our summer kaftans and look forward to layering our clothes to suit the cooler weather. Lauren Holland, owner of Joli Boutique, located on Racecourse Road, Ascot travels to Europe twice a year to buy collections for her boutique and has identified the following three key trends we will be seeing this Autumn in the world of fashion. 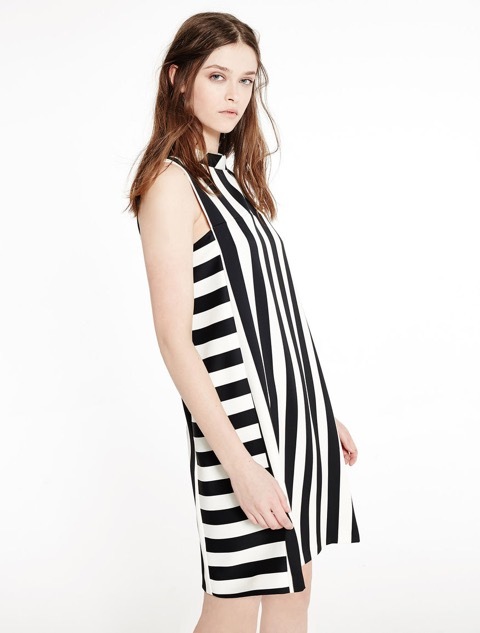 Whether it be a Stripe, Spot, Check or floral, black and white prints are back!! Add some extra drama to this look by adding a pop of red with your accessories. Leather, Denim or a fun print! 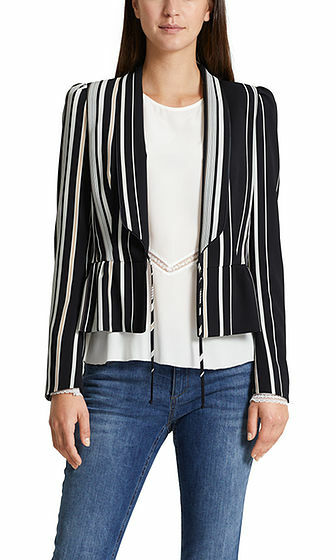 The statement jacket is the perfect edition to any wardrobe. Dress it up with a bodycon dress and heels or for a cool causal look put it back with a white t-shirt, jeans and sneakers. Keep it bright this Autumn with a pop of colour! Try orange or cobalt blue for something unexpected. Team this trend back with black or white for maximum impact.